Lingering beach days dwindle as Columbus Day approaches, making way for crisp fall afternoons and cozy evenings spent out east. Known for its agricultural history, expansive vineyards, and preserved open space, this next season on the calendar brings with it an opportunity to really know and appreciate the landscape of the East End. 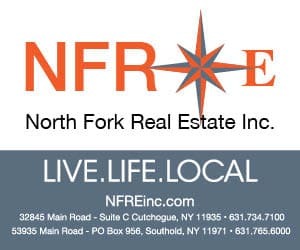 Quiet in some respects while bustling in others, autumn produces something for everyone to enjoy on the North Fork. Bridget Elkin finds fall on the North Fork idyllic. 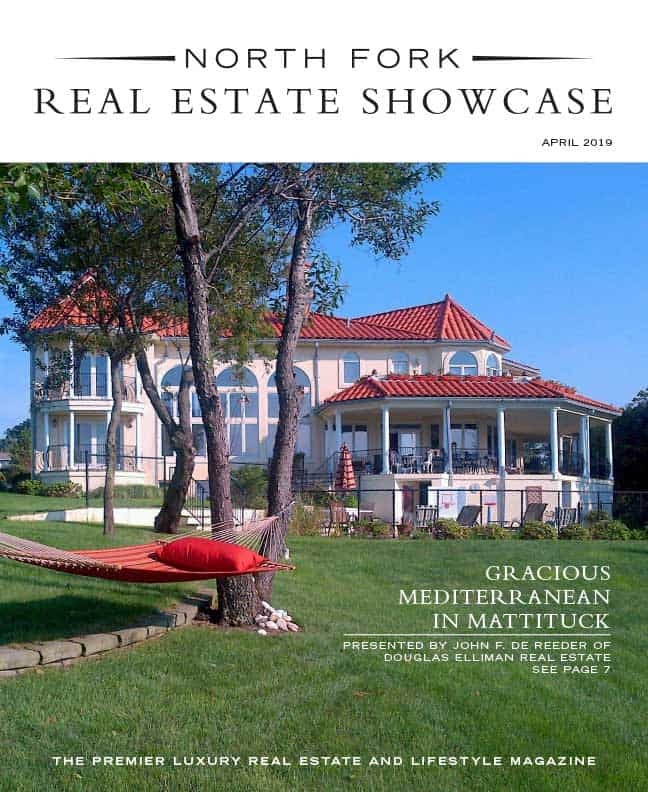 As a real estate salesperson with Daniel Gale Sotheby’s International Realty and co-owner of The Morning Glory Bed and Breakfast in Greenport with her husband, Eric, she enjoys the natural wonders of the East End as the crowds begin to dissipate. Peconic Bay and Long Island Sound waters become crystal clear and sunsets are deep and colorful come autumn. And then, there is harvest season. 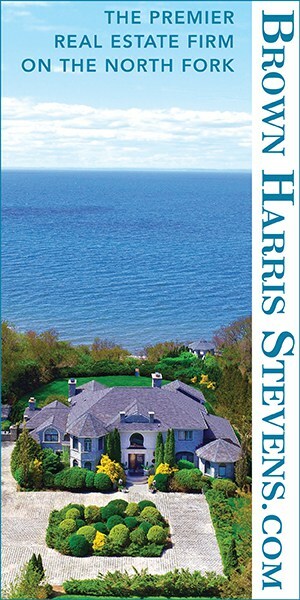 Second homeowners still account for the local population in fall as well as it is a time they, too, get to enjoy. They linger to relish in the cooler weather that is still warm enough for beach walks and boating, the welcomed dip in crowds, and of course, the burgeoning food and wine scene. Families particularly can take time to enjoy this more casual season of the year. Agriculture is the basis of the North Fork, though it is a livelihood not for the faint of heart. Various produce is dependent on the weather, relying on the right mix of warm and dry days, rain, and cooler temperatures needed for a particular crop. Farm stands themselves have become more than a place for locals and passerby to find their favorite fruits and vegetables. It has sparked a new industry – agritainment. Farms and wineries often host events, have live music on weekends, and activities onsite throughout the seasons. 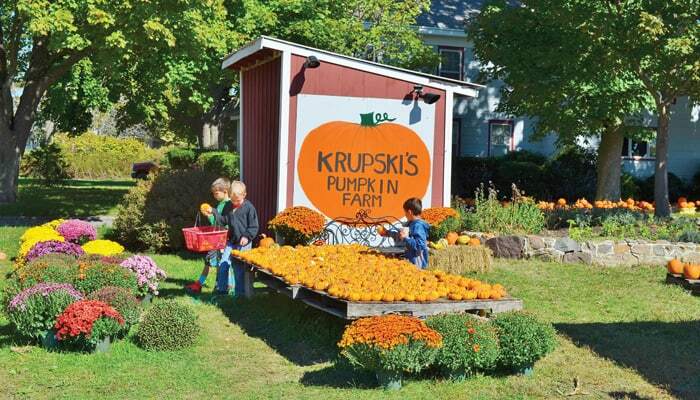 Though not new, pick-your-own remains one of the top things to do at a farm in fall. 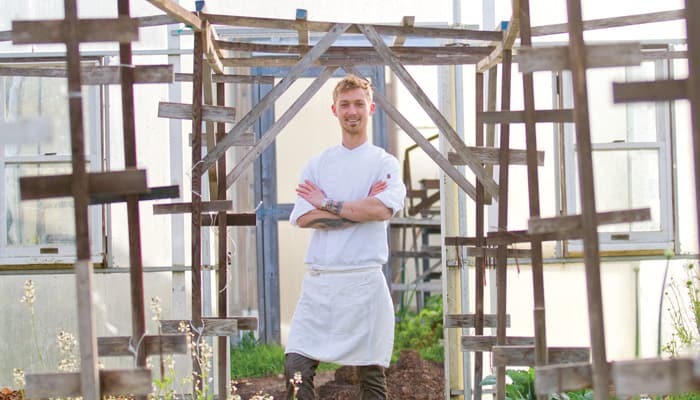 Along with the inevitable pumpkin picking are apples, which make for the perfect fall treat according to North Fork Table and Inn executive chef Stephan Bogardus. Local, farm fresh, cool apples are his favorite, though he jokes they are more of an obsession. Honeycrisp apples are Bogardus’ favorite, especially from Wesnofske’s Farm Stand in Peconic where their mission is to create a farm-to-table environment and a goal of selling produce directly to the consumer. He also favors Wickham’s Fruit Farm in Cutchogue, which is one of the largest farms with 300 acres, 200 of which are in fruit. The family grows on some of the oldest continually cultivated land in the country with much of the farm dating back to 1661. In the fall, North Fork Table and Inn has the exciting opportunity to frequently change what’s on the menu. Slowing down from the summer season, the tasting menu itself evolves continuously around the revolving flavors of the North Fork. For those that wish to try something at home that is simple yet deliciously representative of the local bounty, Bogardus shares whole roasted cauliflower is one of his favorites. If there’s one place families enjoy most that keep both parents and children happy, it’s Harbes Family Farm in Mattituck. The 13th generation family farm has capitalized on the agritainment industry by offering a Barnyard Adventure. 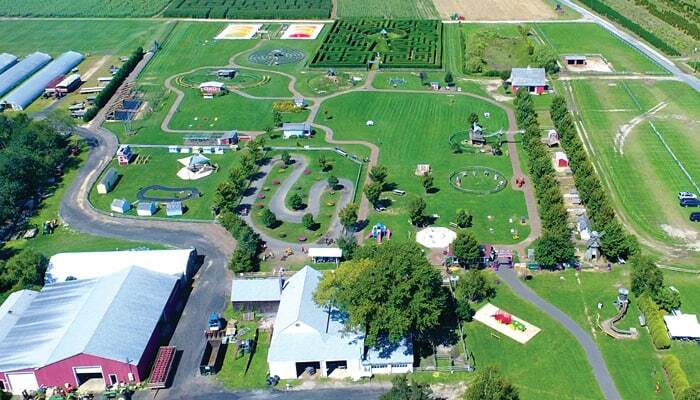 Kids can discover more than 40 farm animals and learn about the agriculture lifestyle, wander the gnome hedge maze, take a singing hayride tour, and spend hours jumping on Jumbo Jumper bounce pillows. There is also apple picking in the orchard and pumpkin picking at the farm. For more than a decade, the farm has also produced handcrafted wines and is among the first on the North Fork to become certified by Long Island Sustainable Winegrowing. The viticulture program encourages winemakers to protect the agricultural heritage of Long Island and take a holistic approach to winemaking. Produced from just five acres of vines, Harbes Vineyard vintages are only available at the Wine Barn. Autumn on the North Fork feels like a shorter season than the rest, but is a welcomed time of getting back to the roots of what draw many here to begin with. A time to reflect and be thankful, it evokes that warm and cozy feeling that seeps in as the holidays begin to near.